A regal ring, from Thomas Sabo's 'Royalty' collection. fashioned in Rose-Gold Plated, 925 Sterling Silver. 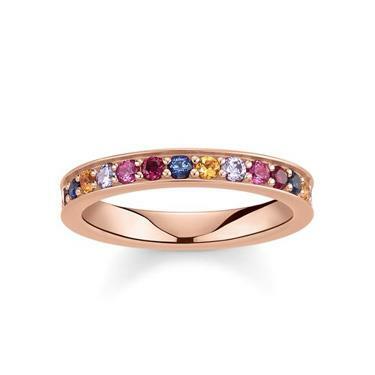 The ring is an eternity band style, set with cubic zirconia, in rich, autumnal colours.